The occupation forces arrested on Wednesday afternoon six Jerusalemite youths from the neighborhood of Shu'fat in Jerusalem. 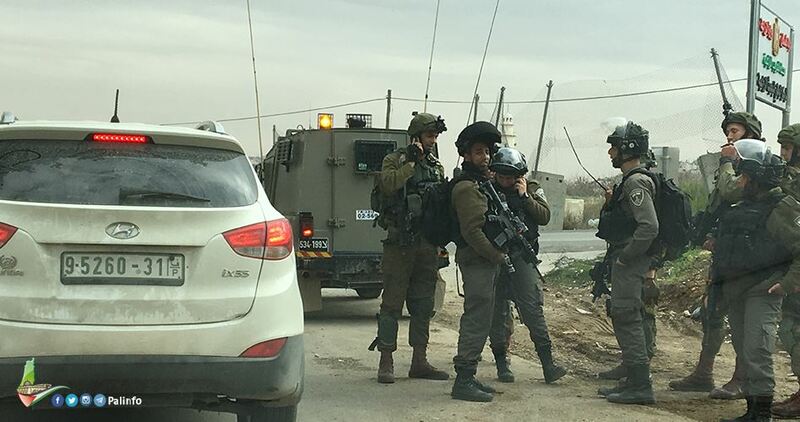 Wadi Hilweh Information Center (WHIC) explained that the occupation forces arrest six youths while heading to their homes after getting off school in Shu'fat and Beit Hanina north of Jerusalem. They were transferred to Nabi Yacoub police station for interrogation. General Director of Jenin Chamber of Commerce (JCC) Ammar Abu Baker was arrested Wednesday evening while passing Karama crossing, between Jordan and the Israeli-occupied West Bank. Local sources told PIC reporter that Abu Baker was planning to travel to China before being stopped and arrested at the border crossing. Abu Baker, from Ya'bad town south of Jenin, was elected as head of the JCC only two months ago. Karama crossing, also known as Allenby Bridge, is the sole outlet connecting the occupied West Bank with the outside world via Jordan. 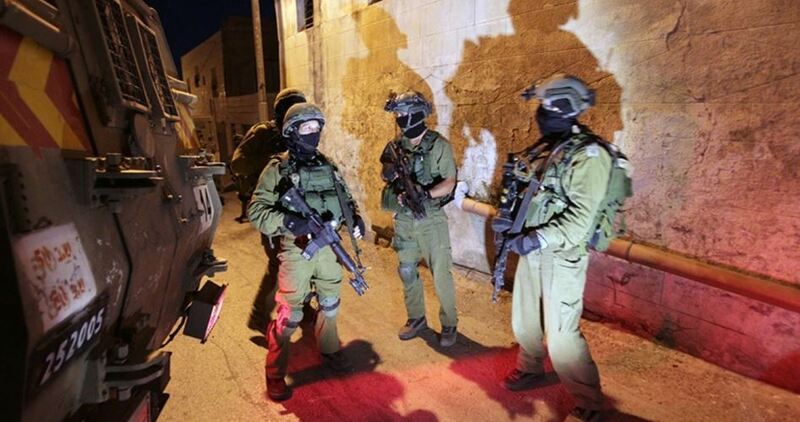 The Israeli occupation forces (IOF) at dawn Wednesday raided several homes and kidnapped Palestinian citizens during campaigns in different West Bank areas. The IOF claimed that it arrested 17 wanted Palestinians in the West Bank and transferred them to interrogation centers. 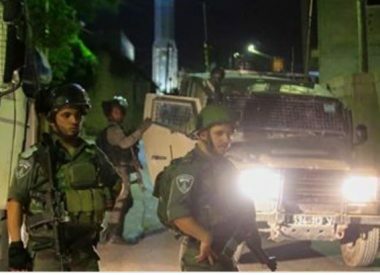 Local sources, however, said that the IOF raided several homes in al-Khalil city, Yatta city and Beit Ummar town (north of al-Khalil) and kidnapped four citizens. The detainees were identified as Mohamed al-Razem, Ahmed Abu Senaina, Husam Abu Sabha and Ahmed Salibi. The IOF also set up two makeshift checkpoints for several hours in the areas of al-Hawwour and al-Nasba, north of Halhoul city near al-Khalil, and obstructed the movement of Palestinian vehicles at the pretext that a nearby military post came under gunfire attack last night. 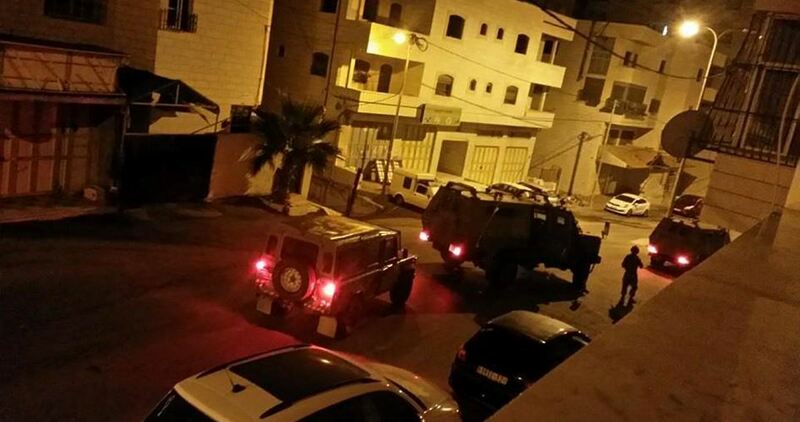 In Nablus, the IOF broke into and ransacked a house and kidnapped a young man in the city. He was identified as Mohamed Qirada. In Jenin, several homes were raided during IOF campaigns in the towns of Ya’bad, Dhaher al-Abed, and Nazlat al-Sheikh Zaid, with no reported arrests. Local sources also reported the detention of seven Palestinians during IOF campaigns in different areas of Bethlehem, Ramallah and Jericho. The Israeli occupation forces (IOF) over the past two days have arrested seven members of the Islamic Bloc, Hamas's student wing, who study in different West Bank universities. The IOF in al-Khalil arrested the students Izz Abu Husein and Mu'tasem al-Natsha as well as the student at Palestine Polytechnic University Suhaib al-Qawasmi. Another student from al-Khalil named Nizar Mohammed was fined 3,000 shekels and sentenced to 10 months in prison by an Israeli court. The arrest campaigns included the two students from al-Najah National University Abdulrahman Shehada and Khalid Kou'. The IOF also arrested a Birzeit University student named Mus'ab Mafarja after raiding his house in Beit Liqya village in Ramallah a few days following the arrest of the Islamic Bloc coordinator at the same university Osaid al-Qaddoumi. In the same context, the IOF arrested the ex-prisoner Mohammed Ata, who studies at al-Quds University, while he was passing through a military checkpoint near Jenin. Two Palestinians were injured by Israeli occupation forces on Wednesday morning during clashes at al-Amari refugee camp, southwest of Ramallah, in the central West Bank. 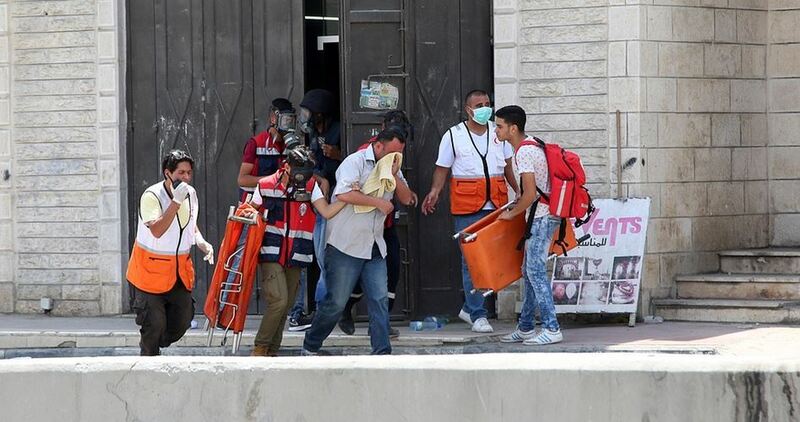 The Palestinian Health Ministry reported that two Palestinians were admitted to the Palestine Medical Complex in Ramallah after they sustained injuries from live bullets. One protester was injured in the upper abdomen and will undergo an urgent surgery, and the other was injured in the ankle. Israeli soldiers raided the camp at daybreak to arrest anti-occupation protesters when the clashes broke out. Three Palestinians were detained. At the same time, Israeli soldiers attacked Palestinian schoolchildren south of al-Khalil province with teargas canisters, resulting in several suffocation cases. A number of school children received field treatment while several others were rushed to Mohamed Ali al-Mohtasib local hospital. Israeli soldiers abducted, on Wednesday at dawn, twenty-one Palestinians from their homes, after invading and ransacking them, in several parts of the occupied West Bank, the Palestinian Prisoners’ Society (PPS) has reported. The soldiers also interrogated many Palestinians while inspecting their ID cards, and violently searched their homes, before abducting 21, including children and an elderly man. Sheikh Ali Mustafa al-Wahsh, 85. 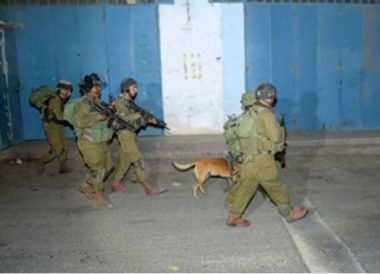 Israeli soldiers abducted, on Wednesday at dawn, five Palestinians from their homes, after dozens of soldiers invaded Hebron city, in addition to nearby Halhoul and Beit Ummar, north of Hebron, in the southern part of the occupied West Bank. The Hebron office of the Palestinian Prisoners’ Society (PPS) has reported that the soldiers abducted Husam Abu Sabha, 20 from his home in Halhoul town. It added that the soldiers abducted Ahmad Ishaq Abu Sneina, 35, Rani Jihad ar-Rajabi, 20, and Jibreel Abu Turki, from Khirbat Qalqas area, south of Hebron city. In addition, the soldiers invaded homes in Beit Ummar town, and abducted a former political prisoner, identified as Ahmad Rifat Sleibi. 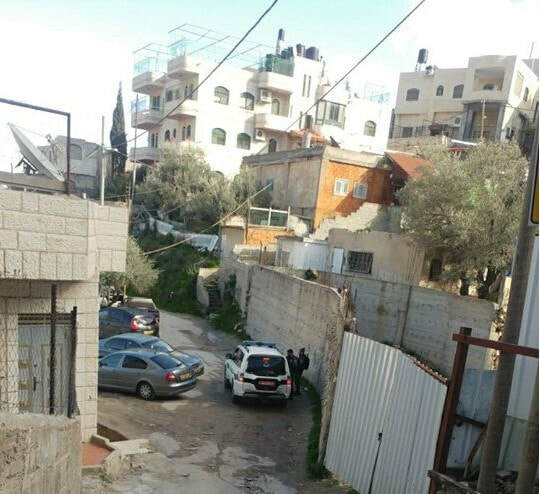 The soldiers also invaded the downtown area in Beit Ummar, in addition to Safa area, before storming and ransacking many homes, including the home of Rifat Sleibi, Mohammad Ahmad al-‘Allami, Ashraf Khalil Abu Mariya and his brother Ayman. In related news, the soldiers invaded and violently searched two homes, owned by Hatem Ali Zeid and Mustafa Khaled Zeid, in Nazlet Zeid area, in Ya’bad town, south west of the northern West Bank city of Jenin, and interrogated them along with their families. On Sunday night, the soldiers invaded Al-Jiftlik village, in the West Bank’s Central Plains, and handed demolition orders targeting homes and sheds, owned by Majdi Thamen, Mohammad Abu Arram, Saud Ka’abna, Mahmoud Ka’abna and Ali Ka’abna, under the pretext of being built without permits. 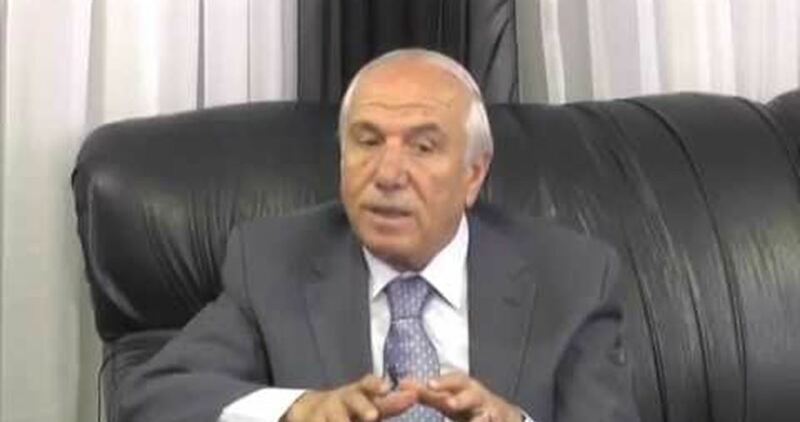 The Israeli Occupation Forces (IOF) arrested Tuesday evening former governor of al-Khalil city Abdel Halim Ja'bari after being summoned for investigation. Local sources affirmed that Ja’bari, 70, was summoned Tuesday morning for investigation in Etzion investigation center where he was later detained. Ja’bari was the head of al-Khalil University for Academic Affairs, al-Khalil’s governor between 2002 and 2007, and Jericho’s governor in 2008. The Israeli occupation forces at nightfall Tuesday kidnapped a Palestinian boy after they aggressively beat him and left dozens of civilians injured in clashes rocking the southern West Bank province of al-Khalil. Israeli army patrols rolled into al-Harika al-Kasara area, near Kiryat Arba illegal settlement outpost, built on Palestinian lands east of al-Khalil, and attacked the Palestinian locals with randomly-discharged spates of bullet fire, teargas canisters, and toxic gas grenades, resulting in dozens of suffocation cases. The clashes culminated in the abduction of the Palestinian boy Rani al-Rajabi after he fell unconscious as a result of the violent beating he had been made to endure by the occupation soldiers. A report issued on Tuesday by the Prisoners’ and Ex-Prisoners’ Commission sounded the alarm over the violent beating Palestinian prisoner Wael al-Natsha had been made to endure in the Israeli Ramon lock-up. 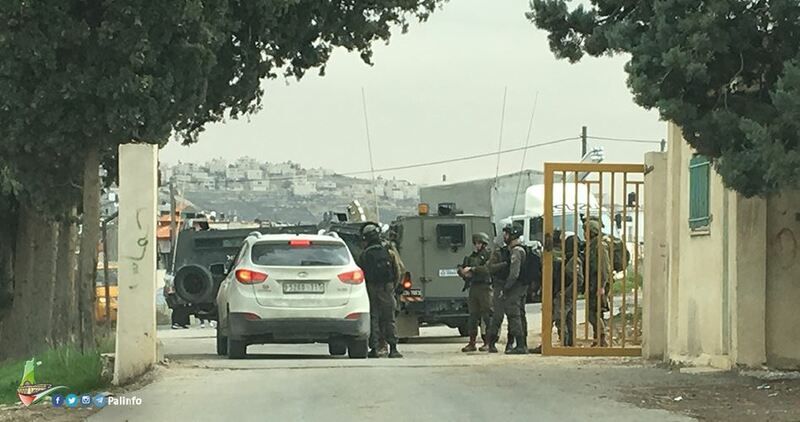 The Prisoners’ Commission said the detainee was aggressively beaten by Israel’s Nahshon suppressive units during an inter-prison transfer on Monday to move 70 detainees from Ramon to Nafha jail. Al-Natsha refused to be searched and to have his hands and feet cuffed during the transfer process, before he had been heavily beaten and struck all over his body, particularly in the face, by Israeli forces. The detainee has not received any kind of medical treatment and is still locked up in an isolated cell in Nafha prison, where the Israeli prison authorities have kept his hand tied over his head since the early morning hours. Al-Natsha has also been brought before a prison court on Tuesday on allegations of assaulting an Israeli officer while in jail. 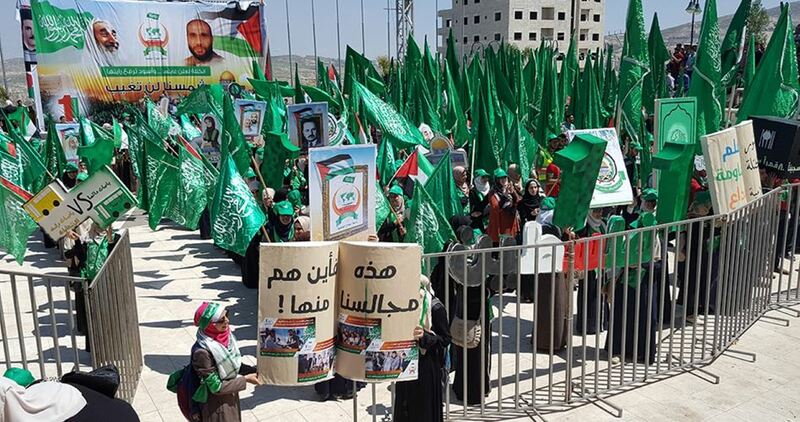 The commission said Palestinian inmates held in Ramon prison vowed to step up protests moves in response to Israel’s suppressive measures, exhausting inter-prison transfers, and harsh torture of Palestinians behind prison bars. The Israeli occupation forces (IOF) on Tuesday morning arrested two Palestinian youths during a campaign in Jenin. Local sources told the PIC reporter that the IOF soldiers arrested Mustafa al-Shaybani, who is a resident of Arraba town in Jenin, at a checkpoint near Nablus and took him to an unknown destination. The IOF arrested another youth named Hani Abu Smidi after raiding Kharrouba neighborhood in Jenin city and confiscated two vehicles owned by his family without apparent reason. Meanwhile in al-Khalil, the IOF at dawn broke into the house of the former mayor of al-Khalil, searched it and wreaked havoc on it. According to the PIC reporter, the IOF also closed all entrances to Tal Rumeida area in the Old City of al-Khalil due to Jewish holidays. He added that the IOF prevented citizens and school students from leaving the neighborhood turning it into an open air prison. 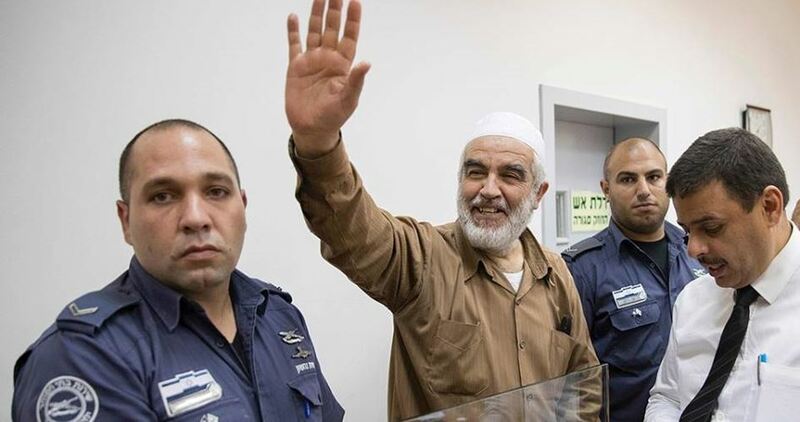 Israel’s magistrate court in Haifa city decided to defer issuing a verdict on a request filed by the defense of Sheikh Ra’ed Salah asking it to reconsider his detention until the end of legal proceedings. According to his lawyer Khaled Zabarqa, the magistrate court fixed next Tuesday, March 6, as a date to study the request. “The file pertaining to the detention of Sheikh Salah is not based on proper legal procedures as the public prosecution is stalling over presenting witnesses to the court, who were absent from a previous hearing,” Zabarqa told Quds Press on Monday. “The court listened to the request filed by the defense team of Sheikh Salah, which asserted the need for his release, even if this could happen under restricted conditions and lead to his house arrest in his city, Umm al-Fahm,” the lawyer stated. 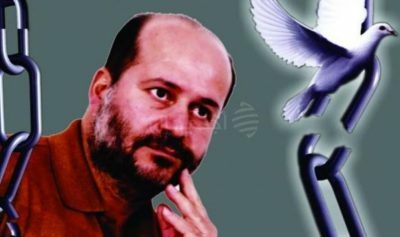 “We affirmed, during the hearing, the systematic procrastination used by the prosecution in order to prolong the detention of Sheikh Salah as well as the legal proceedings of the file, and we has stressed the Israeli prosecution’s attempt to hide a great deal of the investigation material, not to mention its reluctance to present witnesses in this case,” he added. 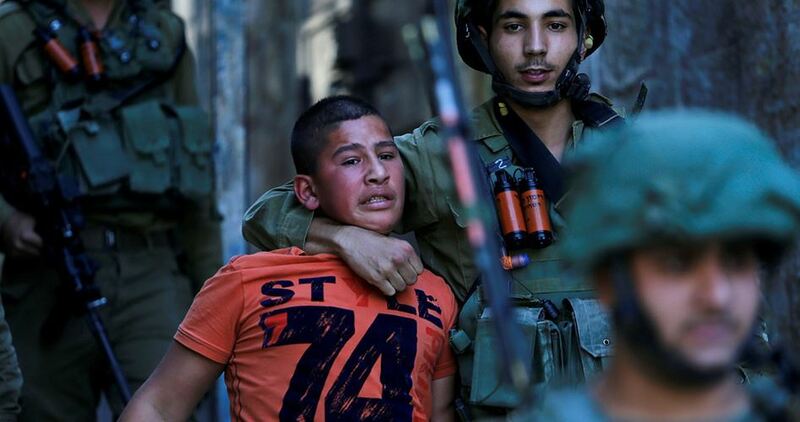 The Israeli occupation forces (IOF) at dawn Tuesday arrested 13 Palestinians in different West Bank provinces. The PIC reporter said that the IOF arrested an ex-prisoner, whose wedding is due to be held next month, in Jamma'in town, south of Nablus, after raiding his house and wreaking havoc on it. The IOF raided Qarawat Bani Hassan village in Salfit and arrested the Palestinian youth Mohammed Rayyan. Three other Palestinian citizens were arrested in a campaign into al-Am'ari refugee camp in Ramallah province. Similar arrests and raids were reported in Bethlehem and al-Khalil.